With 20 miles of shoreline and various lakes and rivers, Pasco County is the ultimate destination for diving, fishing and boating excursions. While water recreation activities are supposed to be enjoyable, careless behavior by boat operators can quickly turn your water activities into a nightmare. If you or someone close to you has been injured in a boating accident due to the negligence of another person, you have the legal right to seek monetary compensation for the losses you have endured. The Pasco County Boating Accident Lawyers at Whittel & Melton help clients throughout Pasco County, including New Port Richey, Port Richey, Dade City, Hudson, Holiday, Zephyrhills, Trinity, Land O’Lakes and Wesley Chapel recover financial compensation for their losses. A boating accident has the ability to change your life forever, but retaining sound legal counsel can help you secure a more stable financial future. 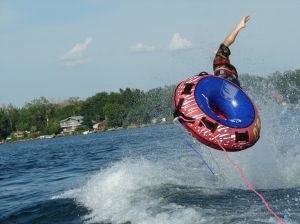 Some boating accident cases may involve incidents of drowning. When this occurs, we can help your family file a wrongful death suit on behalf of your loved one. We know that no amount of compensation can replace your loss, but we can help hold any responsible parties accountable for their negligent actions. The longer you wait to retain an effective Pasco County Boating Accident Lawyer, the harder it may be to collect financial compensation from negligent or careless parties. While the incident may seem clear in your mind right now, your memories can fade over time and crucial evidence can be destroyed. This is why it is essential to contact the Pasco County Boating Accident Attorneys at Whittel & Melton as soon as possible to review the details of your case and acquire the documentation needed to support your claim. Have Your or Someone You Love Been Injured in a Boating Accident? 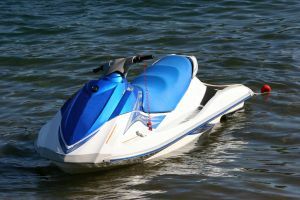 If you or someone you love has been injured in an accident with a speed boat or any other type of watercraft or while jet skiing, tubing, water skiing or partaking in any other recreational activity, it is vital to speak with a boating accident attorney. The responsible party’s insurance carrier may try to delay, limit or deny you the compensation you are entitled to. In addition, they may try to get you to make statements that could negatively impact the outcome of your case. 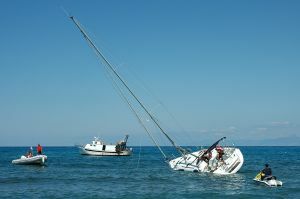 Boating accidents can result in catastrophic injuries and even wrongful death. If your or a family member has been harmed due to a boat operator’s negligence, contact the Pasco County Boating Accident Attorneys at Whittel & Melton to start exploring your legal options. We handle boating accident cases in New Port Richey, Port Richey, Dade City, Hudson, Holiday, Zephyrhills, Trinity, Land O’Lakes and Wesley Chapel. To receive a complimentary consultation, contact us today online or call 727-847-2299.